You are currently browsing the tag archive for the ‘Inspired By’ tag. Every time a new issue of Paper Crafts magazine hits the newsstands and our subscribers’ mailboxes, there’s a surge of excitement. We KNOW all of the inspiration that’s inside each issue, but we’re also curious where the creative train will stop next. We’re eager to see what our readers do with all of the ideas they glean from every glossy page. Enter the Inspired By Challenge! 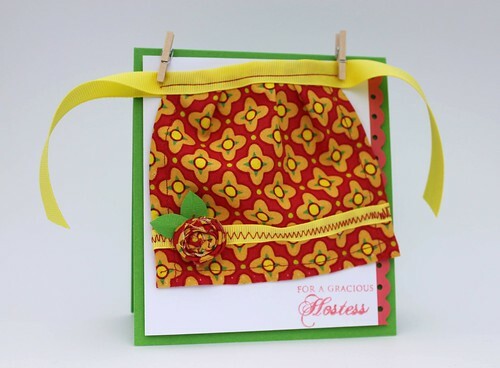 This challenge was issued for you to create a card inspired by one that you’d seen in the pages of any Paper Crafts publication, and I truly enjoyed checking out the fruits of your labors! What fun to see your interpretations and hear your stories. Now without further ado, I introduce the winners of the Inspired By challenge! Lynn went for a pretty direct interpretation of Stephanie Muzzulin’s Thank You Tree Card. Though she used the same stamp to achieve the look, her addition of buttons for fall foliage and a decidedly autumnal color scheme are just the perfect twist to the original. 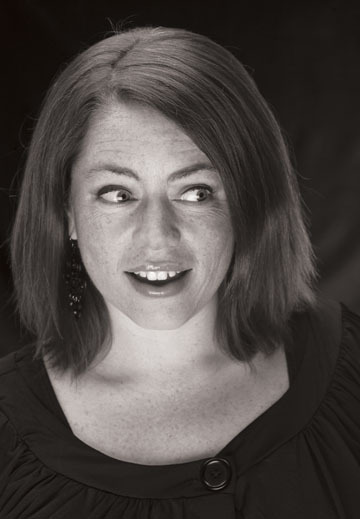 You can find Stephanie’s card in the November/December 2009 issue. 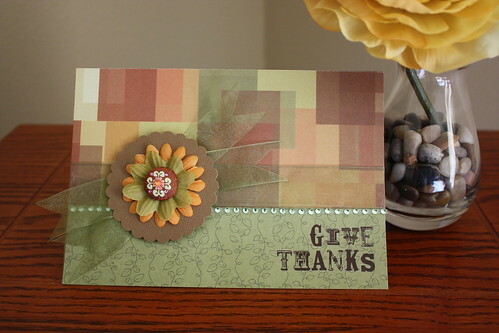 Jennifer’s Many Thanks Card was inspired by Kim Moreno’s Birdie Anniversary Card. 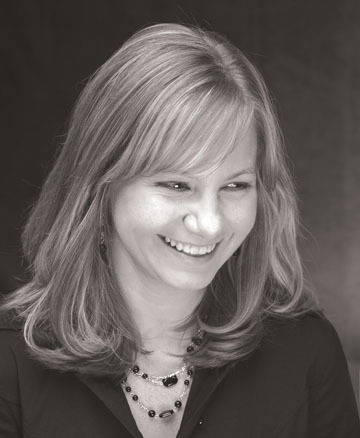 Jennifer kept some of the same design elements – the triple matting, the scallop at the top and the bird motif. 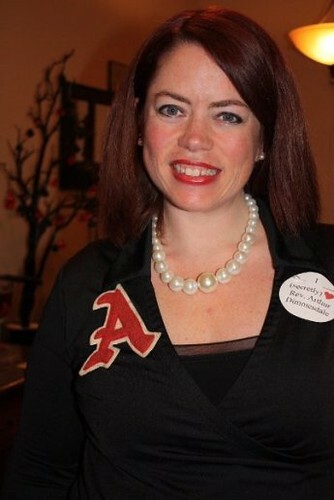 She used pearls as a substitution for the rhinestones that appear on Kim’s card. By using a different color palette, less whimsical patterned paper and a more sophisticated font, Jennifer’s card takes on a totally different and equally attractive look! You can find Kim’s card in A Card a Day. 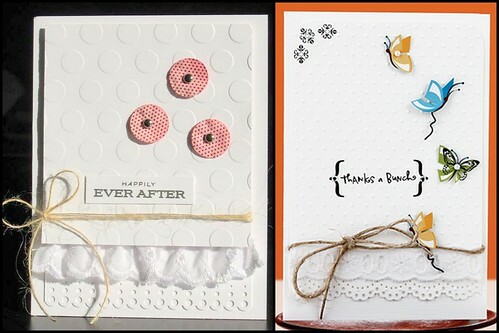 Even though it isn’t a thank you or birthday card, we were so delighted by Dee’s Happily Ever After Card inspired by Danni Reid’s Thanks A Bunch Card that we had to share it with you. Dee was inspired by Danni’s pretty white on white on white card and added just the right amount of color with her pink flowers. Thanks for sharing, Dee! You can find Danni’s card in Card Creations, Volume 7. Congrats, ladies! You’ve each won a free 1-year subscription to Paper Crafts or special issue of your choice. I’ll be contacting you shortly to discuss your prizes and get you mailing addresses. Thanks to all who played along! Wanna join in on the fun? Thumb through the pages of a Paper Crafts publication (magazine or special issue) and create a project inspired by one that you see. Submit an image of your Inspired By project here, tell us where we can find the original in our magazine and you just might have your card featured in the Paper Crafts Connection section of one of our issues. Why not give it a shot? Show us how YOU get inspired by Paper Crafts magazine! P.S. It’s time to announce the winner of Brandy’s Are You Feeling Festive Yet? post! Congrats, Debbie! You’ve won a fun assortment of paper crafting supplies! Kelly will be contacting you shortly to get your mailing address. Thanks to all who left comments! Freebie Friday – Santa, Owls and Mice – Oh, My! Welcome to Freebie Friday! I think I’m still in denial about Christmas being three weeks away. I’ll let you in on a little secret…I still have NOT put up my Christmas tree or holiday decor. (I’m sure Jennifer and Brandy are gasping in horror as they read this!) I promise it will get done this weekend. It has to. Did I mention Christmas is three weeks away? My grandma and I will be attending the Festival of Trees on Saturday. (Hopefully you read Jennifer’s post and saw pictures of our beautiful tree!) Once I return home, the rest of the day will be dedicated to opening boxes and wrestling ornaments away from Devil Dog. Lexus is not really evil – she just has evil tendencies. But when her mom dresses her up like a glorified reindeer, what do you expect? Besides her obvious pained expression, doesn’t she look cute? I’ve always been a sucker for little critters – especially when they’re all dressed up for the holidays! So it’s no surprise that I instantly fell in love with the shaped critter cards we featured in our November/December issue. In my humble opinion, Paper Crafts Go-to Gal Teri Anderson is the queen of shaped cards. 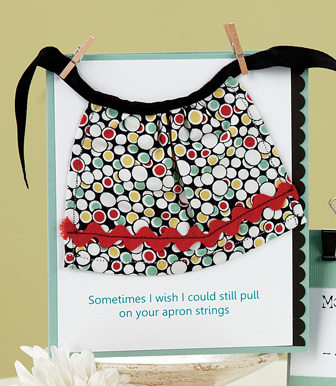 She literally dreams up these designs, makes her own patterns and then embellishes them in her cute, Teri way. It’s almost like they come to life! 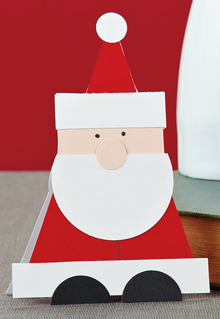 Even though he's not a critter, Teri's Triangle Santa Card makes me squeal with ho-ho-ho delight! 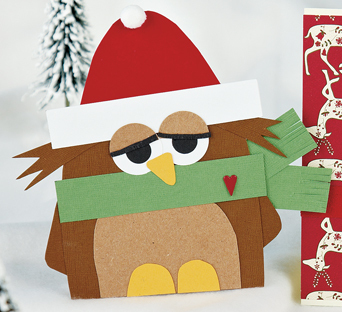 And don't even get me started on Teri's Christmas Owl Card! Love the personality on this guy! 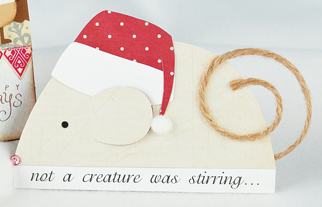 But let’s not forget fellow Paper Crafts Go-to Gal Kim Hughes…her Not a Creature was Stirring Card not only made our November/December cover, but it was the perfect addition to our All Creatures Great & Small feature. To create the body of the mouse, she traced a mug to get the perfect half circle! I love how Kim cut out the ear flap and made a festive little night cap, complete with pompom. 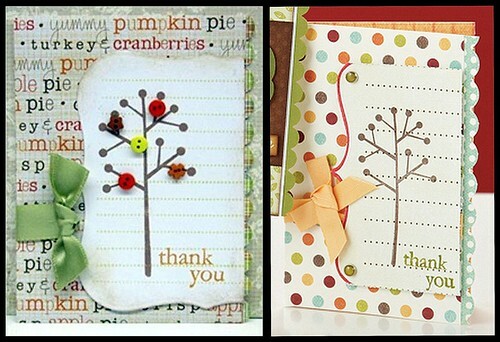 If you’re looking to make some playful Christmas cards, these three designs have cute written all over them. 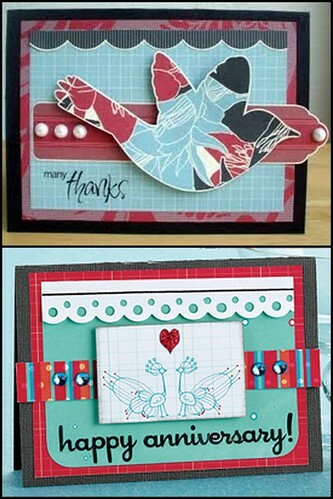 To download the patterns for Teri’s two shaped cards, please click HERE. Instructions can be found in our November/December issue on pages 40 and 69, respectively. For complete instructions for Kim’s mouse card, please turn to p. 70. Ready for today’s giveaway? Since I’m happily living in denial about the time of year, I’m giving away spring-infused critter product! Leave a comment telling me where you are in your Christmas decorating process: completely done, almost done or not even started. 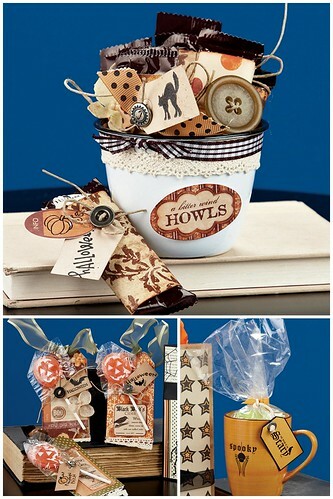 I’ll pick two winners to take home an assortment of American Crafts Blue Skies collection! All comments must be received by midnight (MDT) on Sunday, Dec. 6. Two lucky winners will win an assortment of this fun product! P.S. It’s time to announce the winner from Kim Kesti’s December Daily Album post! Congrats, Anita! 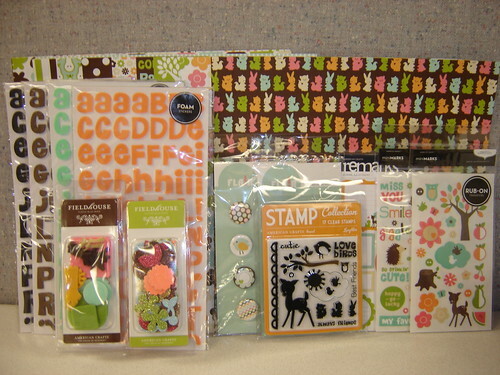 You’ve won Close To My Heart’s chipboard album, their Reminisce stamp set and some fun holiday papers. I’ll be contacting you shortly to get your mailing address. Thanks to all who left comments! P.P. S. Our two-week Inspired By challenge ends at 9 a.m. on Monday! If you’ve been “inspired by” a project in one of our magazines, create a new project and upload it to our Inspired By Flickr group. You could be one of our three winners that walks away with a free subscription or special issue of your choice! Click HERE for all the details!